Choose an image from the Den Design gallery, BELOW or from Instagram / Facebook. Custom image orders book well in advance and only a few per month - stay tuned on social media to land your spot! Images must be very high resolution and quality. Prints start at $20 ($30 for custom) and prices are dependent on size. Sizes from 4 x 4 to 11 x 17. Yukon, British Columbia, Vancouver Island, Alberta and Saskatchewan provincial coasters. Sets of four 1/8 in birch or mahogany wood with laser cut province outline and heart. Yukon, British Columbia, Vancouver Island, Alberta, Saskatchewan and city skyline magnets. 1/8 in birch or mahogany with magnet for securing those important documents to the fridge or to spruce up any metal space! 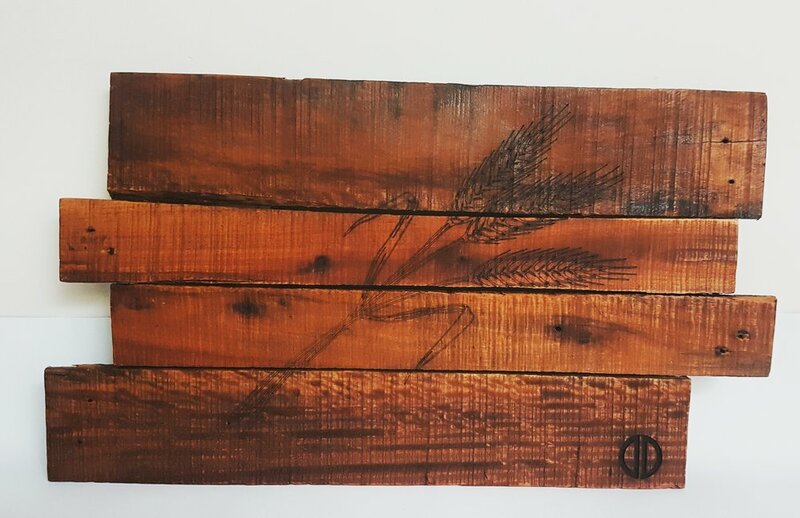 Can be made from either deconstructed pallets, barn board or new lumber. These large laser engraved pieces are mountable and a real statement piece for any room. Carry your favourite brews around in these robust carriers. Can be made to hold 2 or 3 growlers and for 1 or 2 litres. Using a mix of industrial piping and wood, these unique, feature pieces are sure to be a hit.